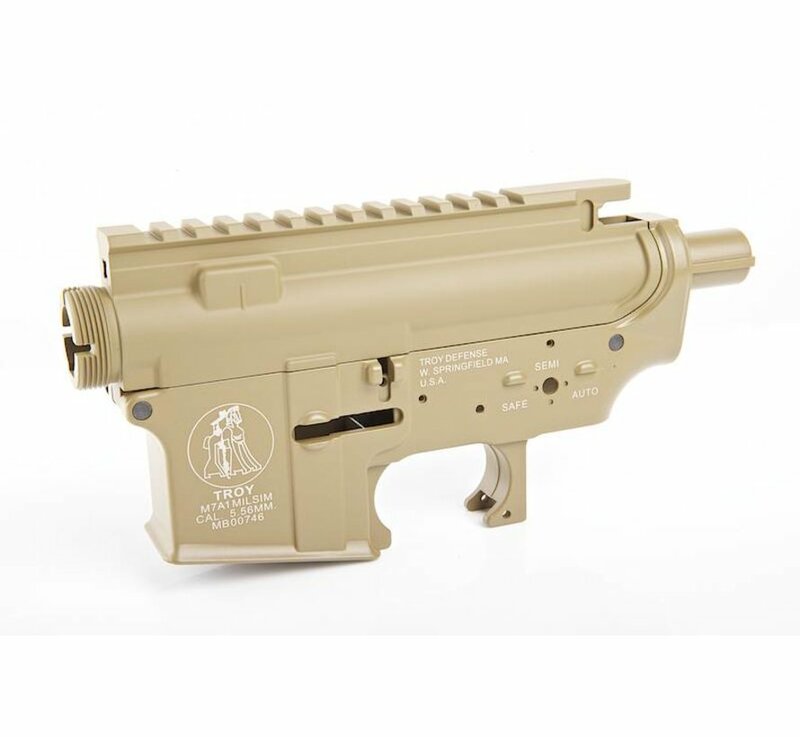 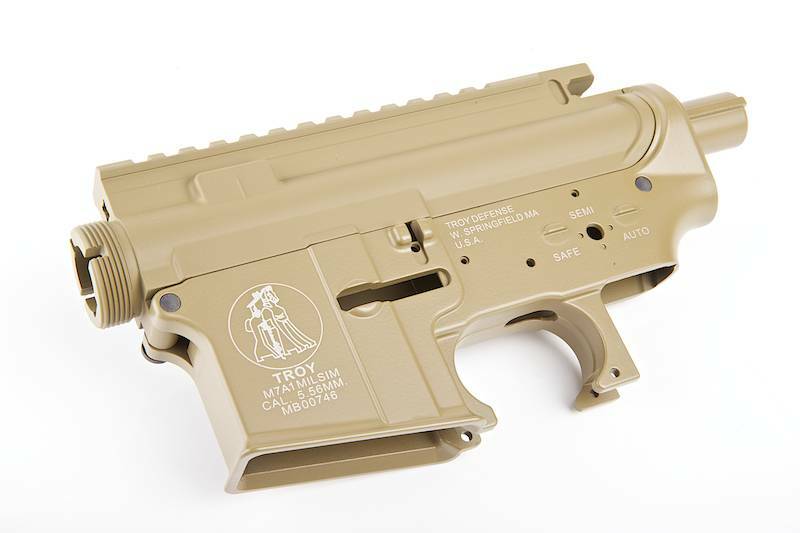 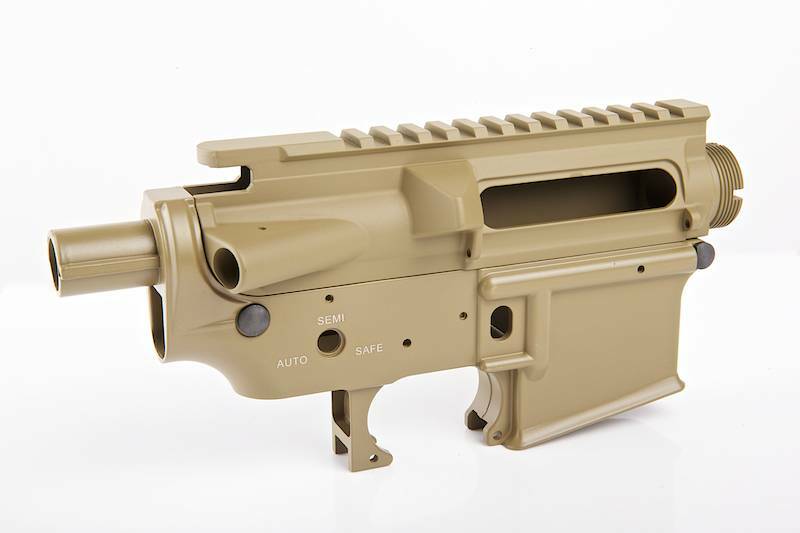 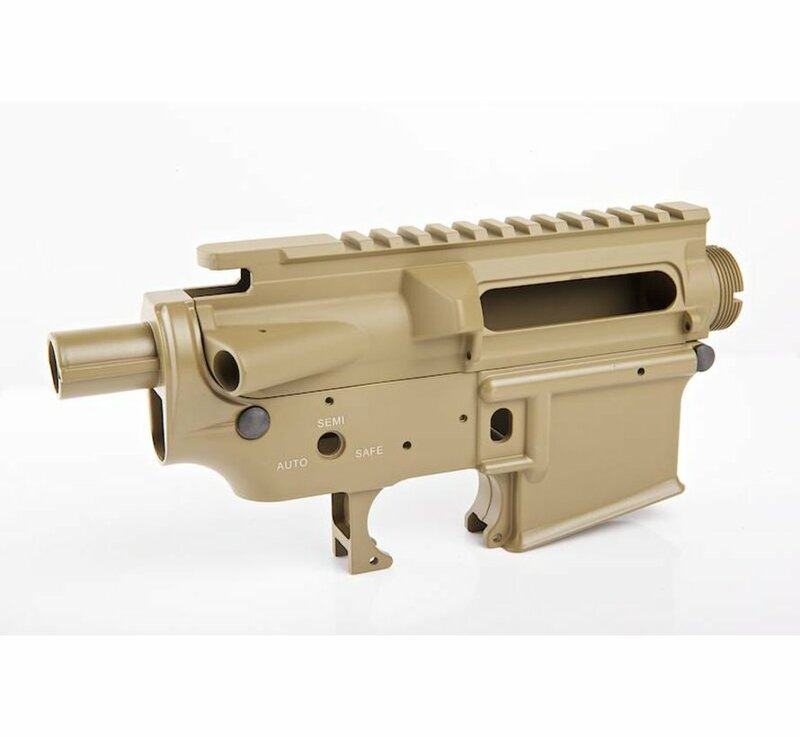 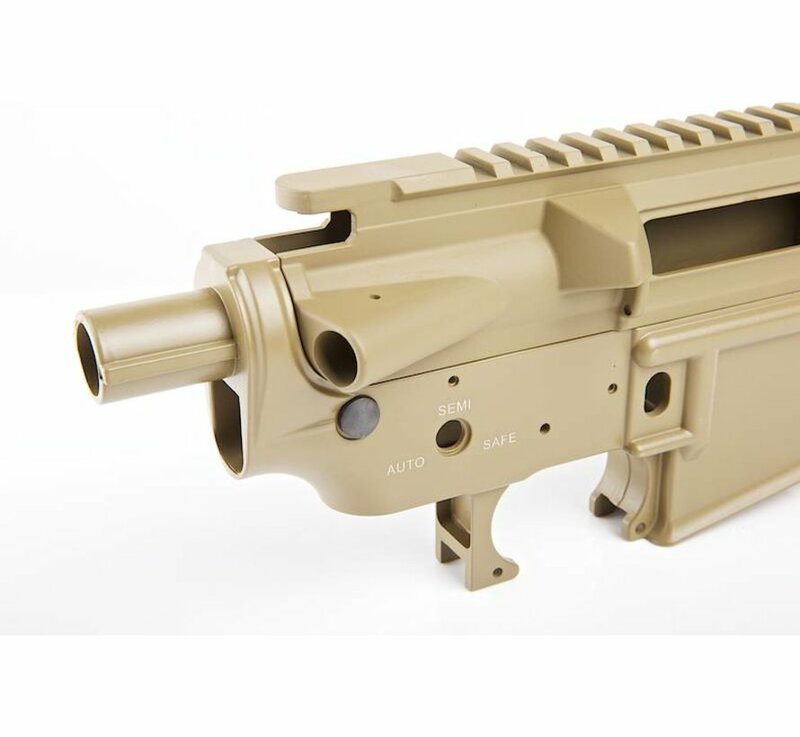 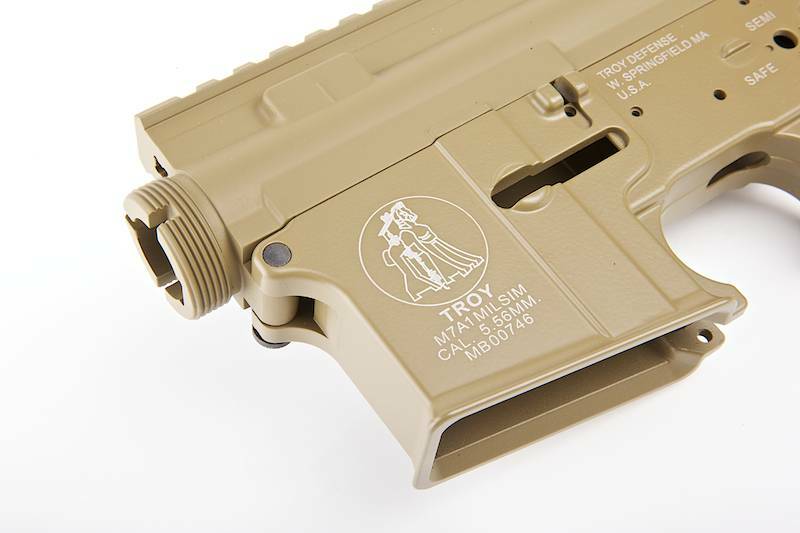 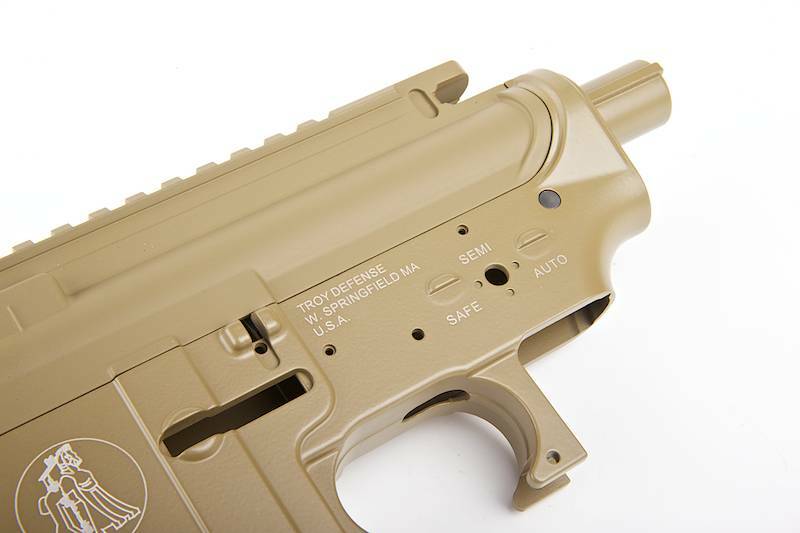 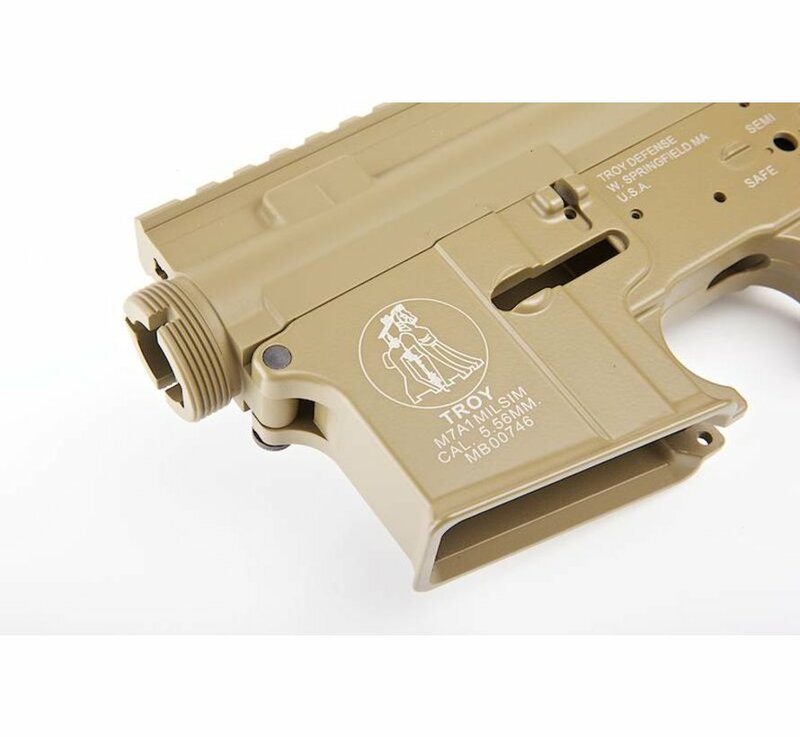 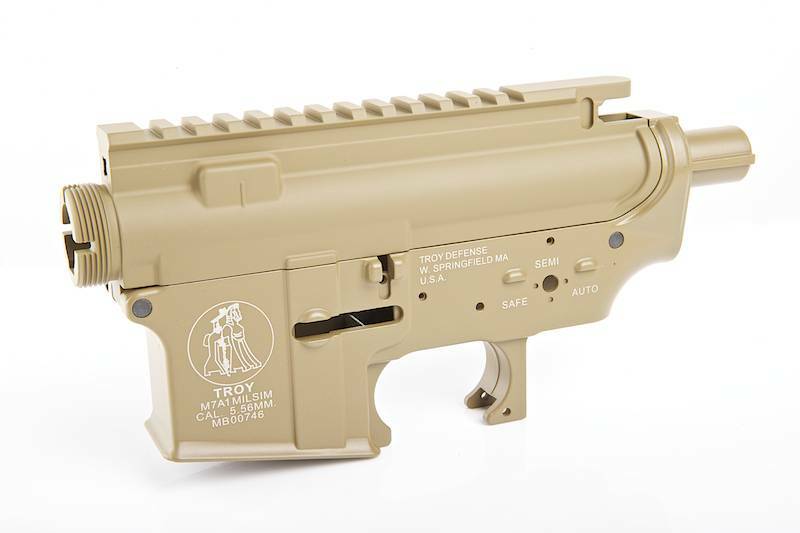 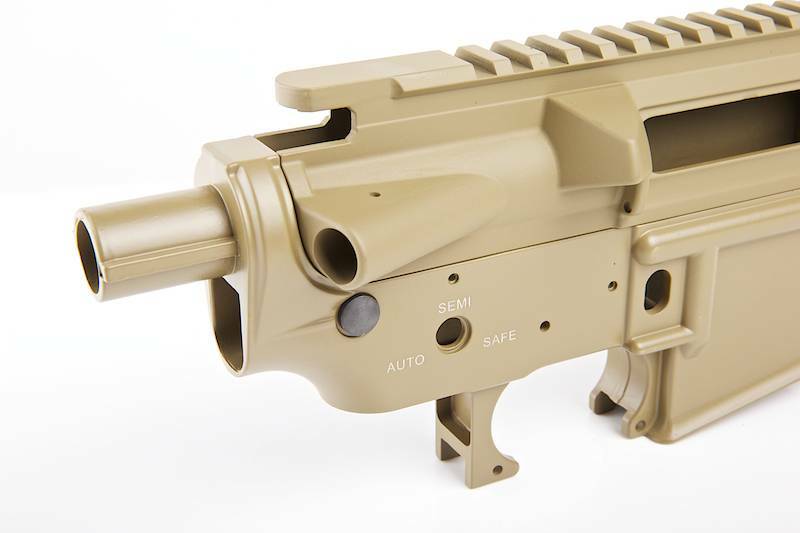 Madbull M4 Metal Body Troy Marking (Dark Earth). 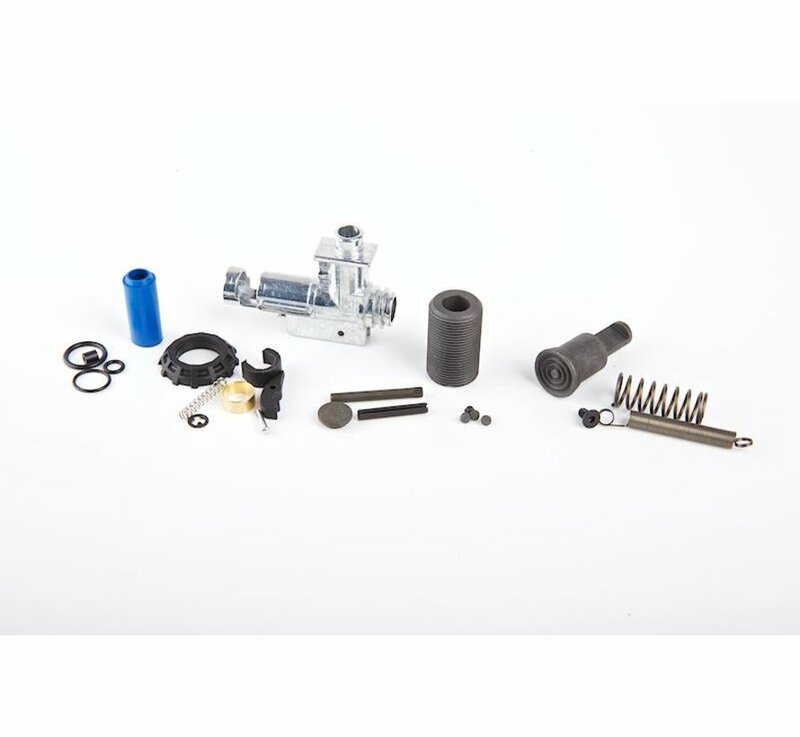 he Madbull Metal Body is yet another example of Madbull's impeccable craftsmanship and another step towards expanding their already impressive line of upgrade parts. 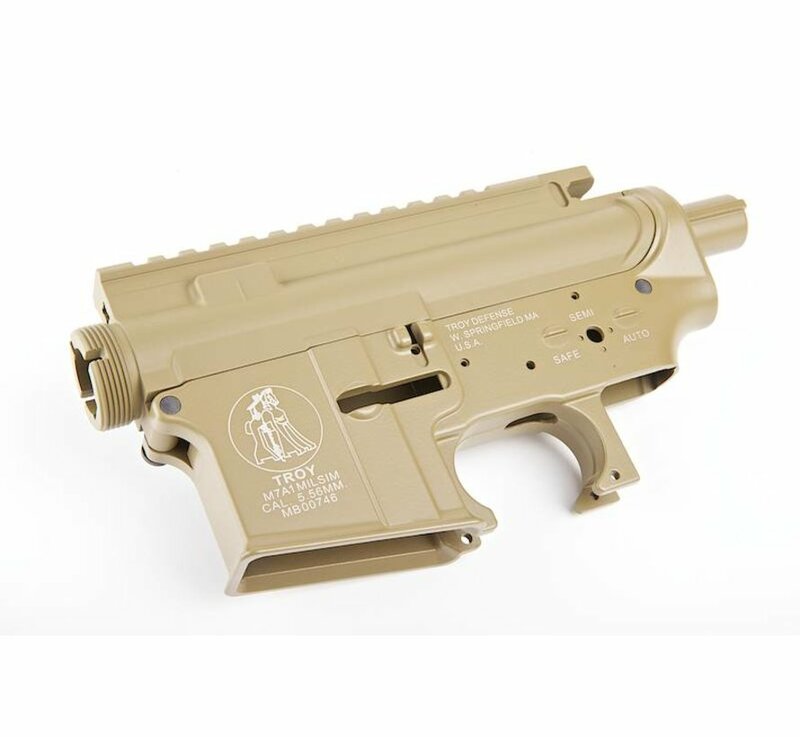 This Double Star metal body is CNC machined from T6 Aluminum with officially licensed trademarks. 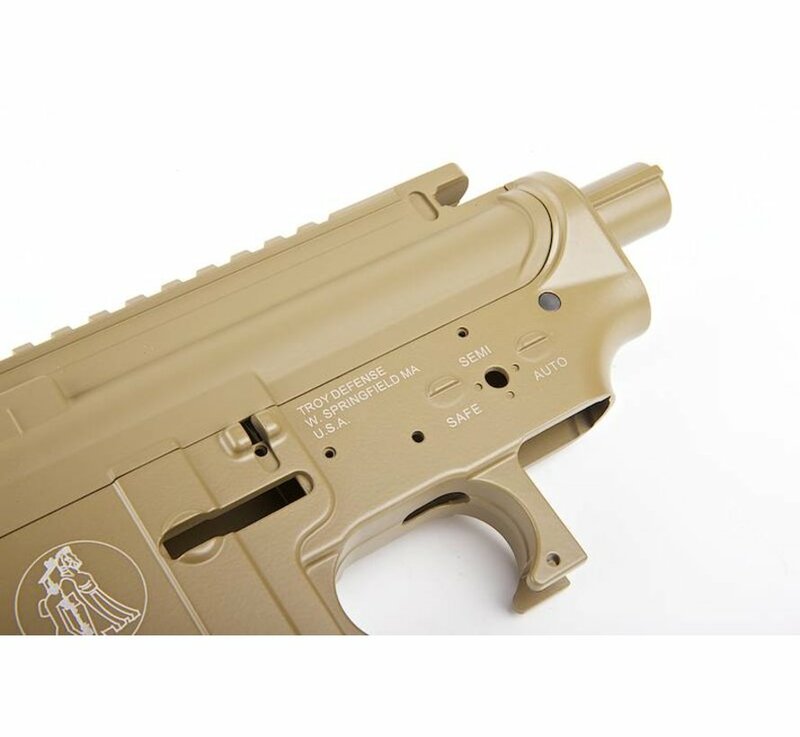 This metal body is compatible with other Madbull upgrade parts like their RIS hand guards, inner and outer barrels, and receivers. Additionally, Madbull has included their Ultimate Hop Up with the body, something that sells for $40.00 by itself. 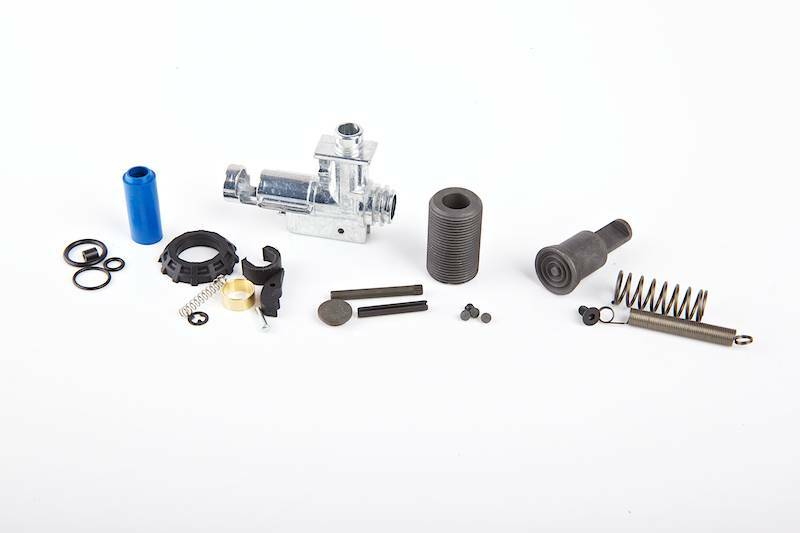 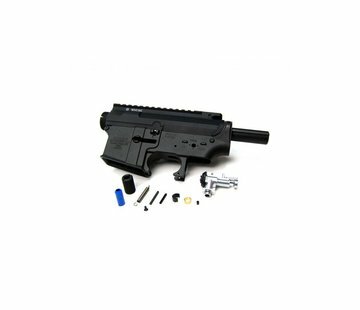 With the high quality of the parts and the overall package contents you can't afford not to upgrade your plastic body gun to this Madbull Metal Body and Ultimate Hop Up!